Zooko Wilcox received his first plea for help from someone in Venezuela a few months ago. The founder and CEO of the Zerocoin Electric Coin Company (ZECC) had been closely following what he describes as “a humanitarian crisis of the first order” unfolding in Venezuela when he got that first message, followed by a series of others. The problem facing many of those citizens was that in addition to the alleged humanitarian violations, Venezuela’s monetary policy had hyperinflated its national currency, the bolivar, to near-worthlessness, and they were looking for a way to store value in the traditionally stable, but difficult to access, U.S. dollar. The trick was converting the bolivars to dollars while protecting the users’ identities. While the government has stopped short of banning the dollar, the official exchange rate discourages legal ownership, and has led many Venezuelans to buy dollars on the black market and store them under the proverbial mattress. Which is where zcash, the privacy-focused cryptocurrency Wilcox helped create, enters the picture. In response to the flurry of requests for help, Wilcox last month partnered with AirTM, a Mexico-based peer-to-peer exchange, to promote zcash as an optional intermediate step when converting bolivars into U.S. dollars. Founded in 2015, AirTM is specifically designed to let users in hyperinflated economies such as Venezuela store value in historically stable U.S. dollars. The company gives users a variety of ways to enter and exit the dollar. For instance, they can send money from a bank or PayPal account, drop off cash at a Moneygram location or zap some zcash (and nine other cryptocurrencies) to AirTM. The company then stores the money as USD in an account on the customer’s behalf. Customers are then able to withdraw the funds, provided AirTM can find a buyer for the original currency. In exchange for the service, the company usually takes a 20 percent cut of the cashier’s commission. Users can also convert back into the local currency at the point of payment when shopping at a participating merchant. No underground operation, AirTM, which last month conducted $5 million in transactions worldwide, is registered as a money services business by the U.S. Treasury Department’s Financial Crimes Enforcement Network (FinCEN). As such, the startup conducts know-your-customer (KYC) reviews to comply with anti-money-laundering (AML) regulations. 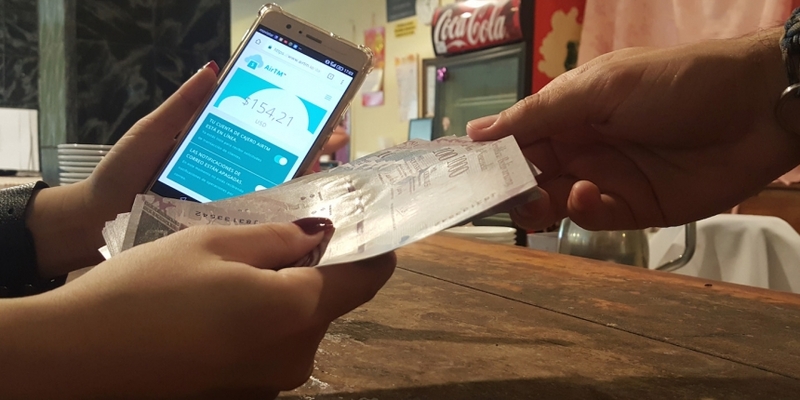 What made the partnership so attractive to Wilcox was that by the time it began last month, AirTM had already registered more than 168,000 Venezuelans living in the country and as many as 40,000 more living abroad and sending money home. So significant is the Venezuelan population that those users now conduct about 60,000 transactions per month using AirTM, according to Josh Kliot, AirTM’s head of engagement and operations, or about 60 percent of its entire business. In a related push, AirTM also partnered with four Venezuela-based non-governmental organizations as part of the newly launched AirTM Foundation, aiming to serve a wide range of humanitarian needs with donations through zcash and other supported payment methods. So far, only about 500 zcash users have conducted a total 1,000 transactions in Venezuela on AirTM since the March 8 launch. But Kliot said he expects that to change based on what the partners have learned from the process. The team-up comes as the Venezuelan government is looking for ways around various sanctions by launching its own cryptocurrency, called the petro, which supposedly raised as much as $5 billion through a sale in February. But according to Wilcox, Venezuelan citizens do not trust the petro any more than they trust the bolivar. “Zcash is an open source decentralized system where the supply and behavior of the network are part of an open global consensus, whereas the petro is part of a construct and under the control of the Venezuelan government,” said Wilcox. To be fair, zcash is not what many people would consider an ideal store of value either. Like nearly all cryptocurrencies, it fluctuates wildly against the dollar. But zcash’s privacy features made it an appealing way to quickly move from rapidly depreciating bolivars into the more stable U.S. dollars held at AirTM. Underscoring the direness of the situation in Venezuela, a trip to the grocery store can now cost far more than the minimum monthly salary, according to a local AirTM zcash user who spoke with CoinDesk via an encrypted messaging platform. According to this source, a self-identified economist in his 40’s who spoke on condition of anonymity, some citizens have resorted to using cartons of eggs as a store of value. The source sent CoinDesk a copy of a receipt from last month in which two kilograms of bananas, cookies, a half-kilogram of white cheese, 2 liters of orange juice and 2 liters of corn oil cost 1,981,000 bolivars, or about $39.00. Given those high costs of living, zcash’s relatively low transaction fees make it a more appealing cryptocurrency to Venezuelans compared to bitcoin, the economist said. All this work is taking place against a complicated backdrop of regulations, sanctions and attempts by the regime of Venezuelan President Nicolas Maduro to evade them. But as long as zcash — or any support to Venezuela — doesn’t interact with the petro, with anyone on the U.S. Treasury Office of Foreign Assets Control’s sanction list, or with debts owed by Maduro’s government, the AirTM customer or foundation donor is safe. That’s according to Michaela Frai, a research associate at the Foundation for Defense of Democracies in Washington, D.C., who specializes in Venezuela policy. But Frai cautioned that it’s the company’s responsibility to make sure those conditions are met. According to AirTM founder Steckel, this is exactly where the company’s AML/KYC policy comes into play. A bigger problem than U.S. regulations could be the Venezuelan government, which may not look kindly on this particular application of cryptocurrency.